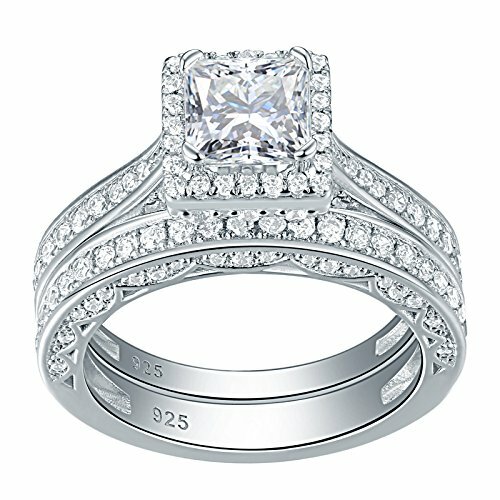 Women's beautiful petite 2 piece AAA grade cubic zirconia wedding set.Crafted from 925 solid sterling sliver, the center of ring showcases one princess cut 6*6mm AAA grade white cz, accented by 141pcs brilliant white cz.Top quality stones display amazing enriched clarity just like real diamond! If you have any questions about this product by Newshe Jewellery, contact us by completing and submitting the form below. If you are looking for a specif part number, please include it with your message.